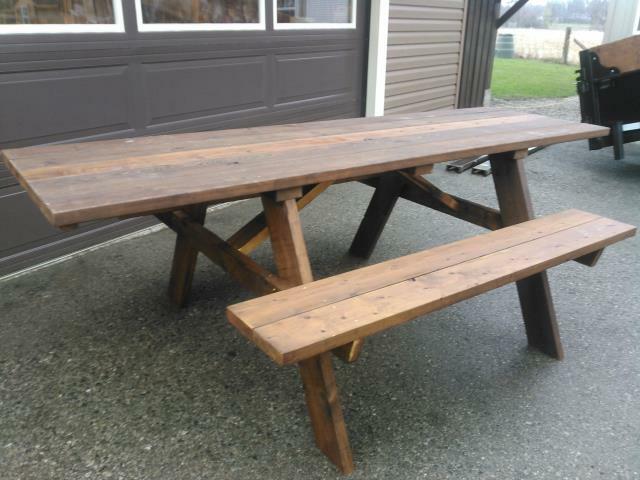 Constructed with pressure treated lumber. There is room for 1 chair at each end & 4 people on the 2 benches. Stain is optional (add $100).